"I’m building a better future for them." The mom-of-three says there was a time she used to feel guilty about leaving her kids and not spending enough time with them. 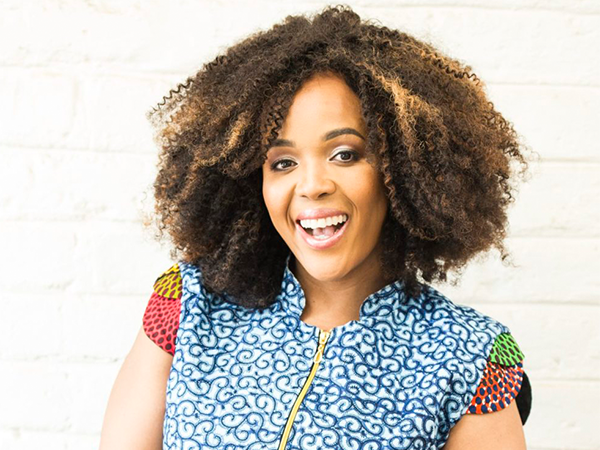 But comedian and TV personality Tumi Morake's eldest son once told her even though she wasn’t there as much as she might have wanted, he knew she loved him -- and that freed her from the guilt. “There are a lot of women who feel like they are bad mothers, but I’ve stopped feeling guilty because I am building a better future for them,” Tumi told YOU's sister magazine DRUM. Tumi says she juggles the working mom role with the help of her family and their nanny. And when she spends time with her family she gives them all her attention. And that makes her content. “When I’m with them, they know who I am and I know who they are,” Tumi explains. Tumi, who is also a screenwriter, is married to comedian and businessman Mpho Osei-Tutu. She is widely known as the raining Queen of South African comedy. She recently hosted the 23rd South African Music Awards with Somizi Mhlongo and was a presenter for Our Perfect Wedding, among other TV shows. But despite all of that, her devotion to her children comes first. "I want my kids to be the best versions of themselves and I teach them to be gentle and kind to other people." She also teaches them to stay true to who they are. "I want them to be authentically themselves because you can't change a child. They will be what they are destined to be."